He can no longer blame Stephen Harper and the Conservatives, he can no longer claim that he is the man that will get pipelines built. 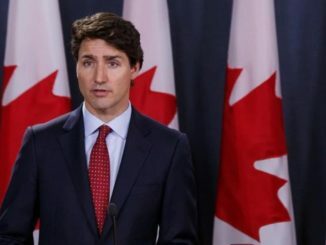 The announcement by Kinder Morgan that it is suspending all “non-essential spending” on the Trans Mountain pipeline project is the direct result of Justin Trudeau failing to show leadership to get the project completed. 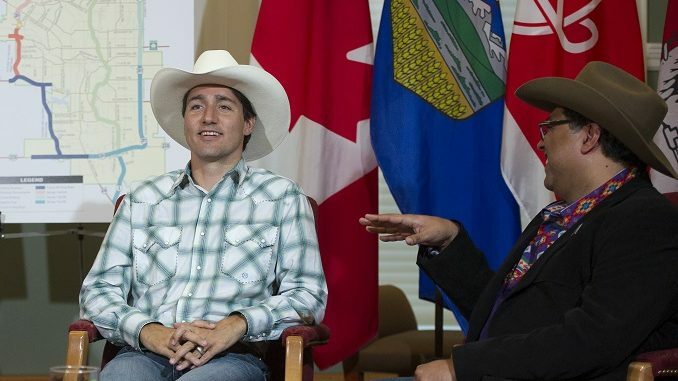 As recently as Friday, Trudeau was promising workers in Fort McMurray, Alberta that the pipeline would be built. 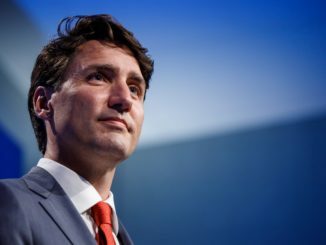 “Our government has been unequivocal, this pipeline is in the national interest and will get built,” Trudeau said just two days ago. Now Kinder Morgan says they are suspending progress on the pipeline and blaming the bickering between British Columbia and Alberta for their decision. “While we have succeeded in all legal challenges to date, a company cannot litigate its way to an in-service pipeline amidst jurisdictional differences between governments,” said KML Chairman and CEO Steve Kean in a statement late Sunday. So if this is about fighting between British Columbia and Alberta, why on earth some would ask, should Justin Trudeau be to blame? Put simply, this is project that is fully and completely within the federal jurisdiction to approve. British Columbia should have no say in stopping this project. We have a constitution and division of powers for a reason. As Prime Minister, the leader of our national government, Justin Trudeau could have and should have done more to make this project happen, to make British Columbia act like it is part of confederation. That is his job and fully within his powers. Instead, Trudeau went to Victoria and Vancouver ahead of his Fort McMurray trip and didn’t even meet with B.C. Premier John Horgan. He held a couple of photo ops, hosted a $1,000 a head fundraiser in Vancouver and left town. Add to this the demise of the Energy East pipeline, abandoned because Trudeau brought in tough new rules that applied to that pipeline and not to others and you can see a pattern. Of course that pattern started when Trudeau effectively cancelled the Northern Gateway pipeline days after coming into office. Three major pipelines cancelled because of Justin Trudeau’s direct action or in this latest case, his inaction. A recent Scotiabank report said the lack of pipeline infrastructure in Canada would cost the Canadian economy more than $15 billion this year alone. Trudeau could have acted politically by putting pressure on Horgan and local governments like the City of Burnaby. He could have shown leadership by speaking about the necessity of this pipeline to the protestors, many of whom likely supported him in the last election. He could have called on his principal secretary to back the project or the chief of staff to his environment minister to do the same. Gerald Butts, Trudeau’s top advisor, used to head the World Wildlife Fund of Canada while Marlo Raynolds, the chief of staff to Environment Minister is the former executive director of the Pembina Institute. But of course both of those men come from organizations that have done what they could to thwart Canada’s oil and gas sector and Butts is on the record saying he doesn’t want an oil and gas sector as part of Canada’s economy at all. “The real alternative is not an alternative route, it is an alternative economy,” Butts said of the Northern Gateway pipeline. Months later Butts would leave his position at WWF and become Trudeau’s top advisor in his leadership race and eventually in his PMO. Tonight it seems that the policy outlined by Butts in 2012 is declaring victory while Canada is all the poorer for it. That ladies and gentlemen is why this decision lays at the feet of Justin Trudeau and the people and policies that he brought to power with him. carbon is a sustainable, organic, renewable, life sustaining, bio-organic resources…. So stop with all the hocus pocus bogus & Green House Gas focus. The ‘carbon’ scare is all a big hoax. Climate has been changing since the earth began, ‘climate change’ is organic, sustainable, natural, ongoing and evolutionary, everything changes. ‘Climate change’ indoctrination is inculcated into children’s tv, movies, media, schools, & also on into adult university courses so folks base their life ideologies & invest their careers into this hoax. Using this ‘bad carbon’ ‘dirty oil’, ‘dirty coal’, ‘bad fossil fuels’ ruse (fraud) to make people feel guilty and tax them is ‘wealth re-distribution’, but even scarier , it is ‘control of peoples behaviours through taxation’ which strips people of their liberty…. it is socialism (aka ‘progressivism’, ‘communism’) Canada resource industries have leading edge environmental technologies, why are we importing from other countries??? Time to put a spike in that thing called Confederation. 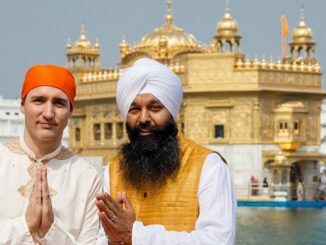 I’m not supportive of the idea floated innocently, lately, that China gets to buy up cheap oil & gas assets, with Mr Dressup’s blessing to his admired “basic dictatorship”, when those assets collapse in value after a cancellation of Kinder Morgan’s pipeline. Other foreign nationals & the US are abandoning the place as it is. They’re not prepared to deal with the bunch of slippery communists running this place, at all levels. As for Rachel, two faced, speak with forked tongue commie. Her history is working against her. If she wants to buy a part of KM, why not Gateway, or Eagle Spirit, or Energy East? Put Sock Boy on the spot. Demand blocked tanker traffic on the east coast comparable to that on the west coast (to save the whales) & refuse Saudi & US oil displacing Canadian crude, or we are “out”. Then rip up the tracks to make her point. She doesn’t, Kenny just might. Tracks are easy to replace, so don’t get your britches in a knot, central-eastern Canada. Your GST was cut back 2% by the Harper .gov you loved to hate & the Cons didn’t impose a useless carbon tax on you, call you a tax cheat, or a neanderthal in the process. Short memory much? I’m wondering when the Munro Doctrine starts to kick in, though. This country hasn’t long to last, if things don’t change. Coming apart at the seams, with BC thinking it’s a separate country, specific to the Lower Mainland. They apparently have already walked from Confederation, without a shot fired in anger. The country will never see 200, maybe not even 151 at this rate. I disagree. This is not a failure but a success. When you look at the backfield of this government made up of Butts WWF, Caron WWF, Raynolds Pembina Institute, plus a host of lesser green lights hired by this government it becomes clear. The policy was not to get a pipeline to tidewater but to stop it and that has been a success. This has been a successful collaboration between US charities, funded money distributors, bought activist organisers, and deluded ground troops. So Cui bono? Look to who has been buying up stock in devalued oilsands companies. This is not a failure of leadership, this is a successful economic raid.